Since the time of separation of South Sudan from the Sudan in 2011, the bilateral relations between the two countries have not become desirably institutionalized for the needed viability of co-existence and cooperation of the two neighboring countries for ensuring peace, security, stability and prosperity in commonality. The two states have not been seen treating themselves softly with best neighborliness foreign policies despite the fact that they are deterministically bounded by the longest inseparable geography in the region with land boundaries of about 2,158 km (according to January 1, 1956 alignment). Political leadership could be the problem because social relations of the peoples of the two states are still fine. The souring relations between Khartoum and Juba didn’t creep instantly from the blue. The ruling parties in both capitals had been fierce enemies for decades though the 2005 Comprehensive Peace Agreement (CPA) tried to tame them into partnership of making unity of the Sudan attractive, especially to South Sudanese (including the Nine Ngok Dinka Chieftaincies of Abyei Area). Because of that commitment, preparation for institutionalization of the independence of South Sudan was totally neglected by the CPA’s partners because they were obliged to ‘make unity attractive.’ That was why both of them were caught unaware by the overwhelming decision of the people of South Sudan not to be attracted to the politicized unity of the Sudan. The SPLM leaders in Juba found it difficult to go against the people’s destiny and they had to betray their NCP partners in Khartoum who were left with no option but to absorb the shock with bitter acceptance of the result of the referendum for self-determination for the people of South Sudan in January 2011, especially after they realized that the separation project has the total backing and support of the U.S superpower and other allies in Europe and Africa. However and after politics of unity of the Sudan was thwarted by the opposite referendum result, every other commitment that was stipulated in the CPA but remained unimplemented had to get subjected to either automatic collapse or renegotiation. Khartoum had to uncomfortably delete anything that has to do with South Sudan and Juba had to also do the same based on constitutional and sovereignty necessity. The issue of nationality, borders, currency, oil, trade, debts, assets, pensions, post-service benefits, Abyei Administration and referendum, Southern Kordofan and Blue Nile popular consultations, and disengagement with the SPLM/A-North popped up to become very urgent but at the same time intricately contentious. Nothing looked sufficient to bridge the urgent gaps left in the broken Sudan and also in the new made South Sudan with its open possibilities. For example, Juba went ahead to print its own currency and passports without consultation with Khartoum, and despite the previous gentlemen agreement that these issues shall be handled evolutionarily and coordinately so as to avoid any consequence of abrupt unilateralism. The amount of the redundant CPA’s Sudanese pounds circulating in South Sudan was seen to be a danger to Sudan’s economy, especially after it has loss many oil fields to South Sudan. Hence, Khartoum decided abruptly too to change its currency to a new pound while disqualifying the old one it used to share with Juba. 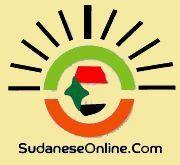 South Sudanese working in Sudan had to get fired. A threat of conflict and aggression became eminent. The border movements had to get restricted and sometimes closed, especially after the Sudan People’s Liberation Movement – North (SPLM-North) in the areas of Nuba Mountains and Blue Nile went into war with Khartoum to add to Darfuri rebels. Nevertheless, the nature of the possible war by then between Khartoum and Juba wasn’t the same as the previous civil wars (e.g., Anya-nya and SPLM/A) because of the new reality that the warring parties were ruling two separate independent countries that are already recognized legitimately by the United Nations, the African Union and other international bodies and individual countries. The two countries have also recognized each other’s independence when they opened their respective embassies in Juba and Khartoum and exchanged resident Extraordinary and Plenipotentiary Ambassadors. Such war, if allowed to be fully conducted, would no longer be an internal affair. Regional and International intervention was eminent. Thus, the AU had to take it upon itself to mediate for negotiations through a High-Level Implementation Panel (AUHIP) chaired by the former South African President, Thabo Mbeki and with Abdulsalam Alhaji Abubakar (former Nigerian President) and Pierre Buyoya (former Burundian President) as core members. The AUHIP led by these peer of former presidential elders and advised by some experts on Sudan and South Sudan (like Alex de Waal) tried to contain the situation though tensions over the post-CPA and post-independence issues continued unabated. To make things worst, the SPLM’s regime in Juba decided to shut-in oil production in January 2012 when the resource makes up over 90% of the government budget and expenditure. The core justification was that Khartoum was taking and taping out secretly the crude oil from South Sudan without permission from Juba. In retaliation, the NCP’s regime in Khartoum decided to close down the regular borders movements of the people and tradable goods along South Sudan. In April 2012 the two countries went for a brief but deadly war over the lucrative Heglig (known originally as Panthou) oil facility that has been managed by Khartoum while claimed by Juba. The UN Secretary-General, U.S President and other allies mounted a pressure on Juba to leave Heglig to Khartoum. Juba was left with no power to cement itself but withdraw from the contested area with regrettable costs to many lives of soldiers. But the accusations of each side for supporting rebel’s activities to topple each others’ regimes became intensified with smearing and rhetorical propaganda. The Sudan Parliament went as far as declared Juba as “an enemy state”. The First Vice President of the Sudan issued orders to shoot-and-kill any person found smuggling goods at the border and to confiscate the caught trucks and other properties from such betrayers. 9) The Agreement on a Framework for Cooperation on Central Banking Issues (acknowledging the need for cooperation in the management of monetary and fiscal policies to maintain confidence and control inflation that could destabilize exchange rate due to fluctuations, and continuing to adhere to international finance and banking standards). The rest of the seven agreements were all signed by the Chief Negotiators of the two countries (H.E. Pagan Amum Okiech for South Sudan and H.E. Idris Abdel Gadir for the Sudan). For operational institutionalization, the National Legislative Assemblies of the two countries had to cordially ratify them within 45 days from the time of signature so that the necessary mechanisms for effective monitoring would get established in addition to regular or extraordinary Heads of the two States Summits, Ministerial Meetings and Technical Committees (and Sub-Committees) Meetings. Some mechanisms commenced as expected but got slowed down later by the tsunamic change of cabinet in Juba in July 2013 and the resultant outbreak of mid-December 2013 crisis of the deadly SPLM/A’s leadership struggle. Though Khartoum tried to portray itself as neutral, Kampala direct intervention to take side with Juba in the war against Dr. Riek Machar’ rebellion provoked the NCP’ regime to rethink its September 2012 rapprochement despite the fact that one of the IGAD’s Mediation Envoys (i.e, Gen. Ahmed Mohamed El-Dabi) was a Sudanese Government’s nominee while Uganda was totally knocked our from the mediation as a result of objection by the SPLM/A-IO. The counter accusations and suspicion of maliciousness of one country against the other continued. Notwithstanding, the August 2015 Agreement on Resolution of Conflict in South Sudan (ARCSS) made Khartoum to be hopeful a bit with a hope of bettering relations with Juba. President Al-Bashir, and as a member of IGAD’s Summit of Heads of State and Government, appended his signature on the deal as a guarantor in the company of other Presidents and Prime Ministers of the bloc who also signed the peace document as guarantors in Addis Ababa. But before signing H.E. Al-Bashir voiced out his protest on the continuous use of the name “Sudan Liberation Movement/Army” by the warring parties while South Sudan is no longer part of the whole Sudan that the SPLM intended to liberate in the past against the Islamic and Arabized injustices. Khartoum was keenly interested in the ARCSS so that the Sudan could gain from the stability in South Sudan, especially if Chapter II is implemented in letter and spirit as provided in article 1.5 for the withdrawal of Ugandan Forces from South Sudan within 45 days (except in Western Equatoria due to the previous agreement on hunting the LRA before the outbreak break of mid-December 2013 crisis), and also as stipulated in article 1.6 for disarmament, demobilization and repatriation of Sudanese Revolutionary Forces (SPLM-North, JEM, SLA-Minawi, SLA-Abdulwahid) within the pre-transitional period by the state actors with whom they have been supporting. This could be the crux of the matter why Khartoum sent a chilling decision in mid-March 2016 to treat South Sudanese nationals as aliens and close the border for security reasons. Fast steps that have been taken by Juba to get admitted into the East African Community might have also hastened the vile of Khartoum to decide the way it did. Khartoum might have gotten worried of not harvesting the fruits of ARCSS as its implementation is over-delaying while time is running out. With no Transitional Government of National Unity (TGoNU) in place and effectively operational in Juba, defeating and destroying the Sudan rebels’ forces shall remain a nightmare to the NCP’s regime. But again, pushing Juba to disarm, demobilize and repatriate the Sudanese Revolutionary forces is not an easy project to pursue because it has a tremendous cost to lives, properties and finance of South Sudanese. Perhaps, if the AUHIP manages to strike a peace deal between the Sudan rebels and Khartoum, that could be the only safer exit by Juba from that trap. Khartoum doesn’t trust the SPLM-Juba because of its connection to the rebels of the Sudan and also to President Yoweri Museveni of Uganda, despite his two-day bilateral visit to Sudan in September 2015 where it was highlighted that there shall be renewed cooperation between them in security, intelligence and defense matters. Kampala has been accusing Khartoum of harboring the Lord Resistance Army (LRA) of Joseph Kony in a remote area in Darfur region and assisting them with arms. Nonetheless, Khartoum has been appreciating Kampala for restricting activities of Sudanese rebels who used to hold meetings in Uganda and get arms through it. That could be part of the motivation why President Al-Bashir took the risk of ICC’s Warranty of Arrest and traveled to Uganda on May 12, 2016 for Inauguration of President Museveni’s fifth term of presidency and further discussion on bilateral ties even with protests by US, Canadian and some European Governments. It seems probable that the recurrent chilling bilateral relations between Khartoum and Juba shall not get eased unless there is peace in both countries. The positive moves towards revitalization of the delayed ARCSS implementation shall make Khartoum to slow-down and monitor the new political developments. The suspension of operationalization of hullabaloo of the 28 states until a political consensus is reached as directed in the January 2016 Communiqué of IGAD’s Council of Ministers, may also cool the nerves of Khartoum to be patient and improve the bilateral ties with Juba. Not only these but also if the development partners and rest of international community come to aid of Juba for easing the dire humanitarian situation and rescuing the collapsing economy, Khartoum may reconsider its arrogant attitude towards Juba. The NCP plotters could get tamed more if the TGoNU sent to Khartoum a very high-level delegation composing of prominent representatives of the four principal parties to the ARCSS to discuss the hot issues with President Al-Bashir and his cabinet. Their negative attitude towards Juba may subside immediately with Abyei becoming a bridge between the two countries as dreamt by veteran Ambassador Francis M. Deng. The result of that unique visit shall speed up the paralyzed progress of the required missing ministerial and technical committees for the proper institutionalization of the specific instruments of implementing the signed bilateral agreements or renegotiating them. The normalized cordial relations between Juba and Khartoum shall enable both countries to venture into unsuspicious joint activities for rebuilding the two states with common prosperous viability. 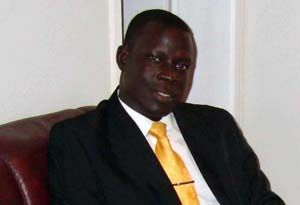 Some of the marginalized professional South Sudanese diplomats shall be willing to help and use the nuance they have had within the Sudanese diplomacy so as to generate fruitful gains within the context of sustainable peace and desirable neighborliness as stipulated in the constitutional principles of the two countries. Thus, the key to ending the unending Khartoum-Juba diplomatic, security and economic rows or show-downs is to properly institutionalize the bilateral relations and cement it with concrete mutual interests that each state will be sensitive to compromise at any cost. Diplomacy and international relations is supposed to be based on the premise that isolation is not an option but interdependence with keen understanding and skillful management of sophistication of the globalization process. It is high time the TGoNU prioritizes a reformed and transformed South Sudanese diplomacy in order to protect invigoratingly the national interests and safeguard the territorial integrity; identify and level the extent of cooperation or competition with others; preserve the national security and stability and contribute in doing the same to the region and the world at large; cement the development of core national economic, social and political objectives; and motivate the influential positive actors while neutralizing the negative ones.